After I stored my suitcase in the coin operated locker, I walked around Tokyo station. 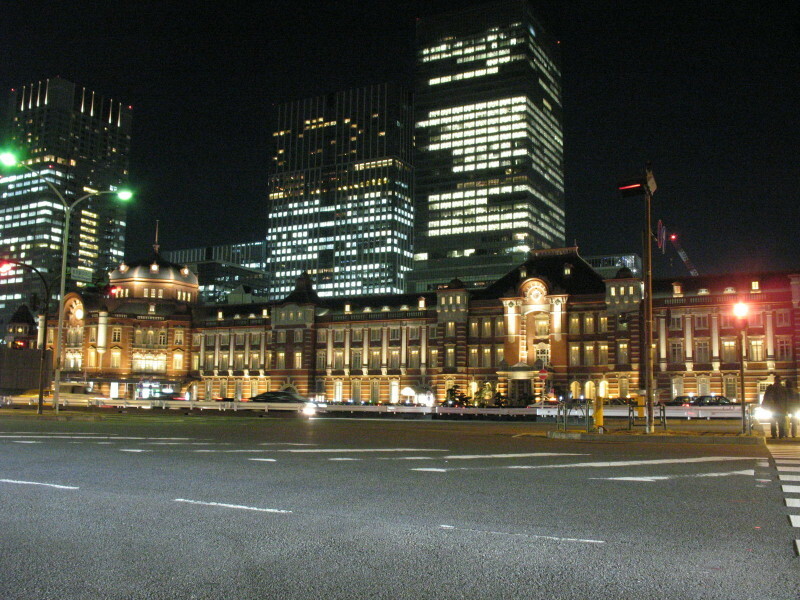 First of all, I wanted to see Tokyo station Marunouchi side. The above picture is exactly I wanted to see. This heritage building had been completed to restore in last October. 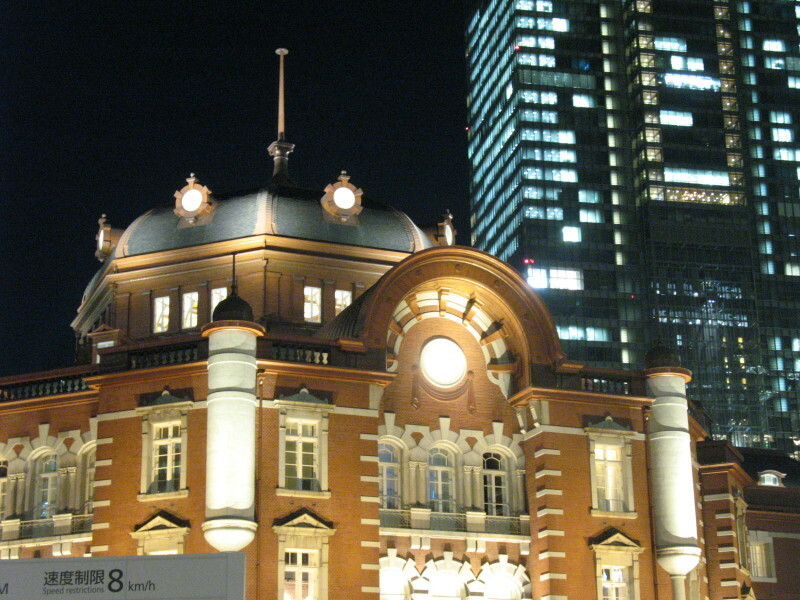 A part of this building was open as high-end hotel, Tokyo Station Hotel. Marunouchi side used to be office area. But now several Marunouchi buildings have lots of shops and restaurants. When you go to Imperial Palace, you can access there from Marunouchi side. You may drop by this area. Then I moved to another side, Yaesu exit. Whenever I get on a train at Tokyo station, I drop by one of major department store, Daimaru (大丸) department store to grab some foods. Daimaru is one of major department stores in Japan. Before you get on the train, you can get some foods in the station and even at the platform. Some trains have on-board sales. But most of delicatessens are owned by high-end restaurant, hotels and specialized shops, such as Japanese sweets, fresh seafood and local meat. So basically foods are much more tasty and price is not so expensive. Of course you can finish to eat before boarding. But I want to eat and drink on board. Even though I don’t know why, taste is much better when I ate in the train. If you agree with me, shop some foods at department store may be one of your choice. If you need other information about Tokyo station, such as transfer, platform and trucks information, please check the post, Tokyo station guide. How to change the trains, Shinkansen, Narita Express and other local trains. Continue to Trip to Tohoku and Nagano in 2013 winter – Part 3, from Ueno to Akita by Akebono. Unfortunately, in my home of Brisbane we don’t have train goodies, and you can’t eat on local services 🙁 . We only have a couple of trains I would classify as limited express, and we also have a few overnight services that you can really take in the rail experience on. I think Japan is very special in the world. Every single towns and villages have their own local food. I don’t know in Brisbane, but we’ve got several steam trains running on weekends here in Sydney. I was very impressed when I saw triple headers of steam engines. I’ve only seen up to double headers in Japan. Queensland Rail runs monthly public steam train trips with rollingstock from as early as 1909 with minimal retrofitting inside, but we don’t use double or triple headers often. Our locos that climb the Great Dividing Range are double-headed because of the gradient, but we don’t pull long trains or have steep mountains very often. There are also private trips that lease steam locos for longer trips, which have included Brisbane to Townsville (1300km) and further. Interestingly, I noticed Ban’Etsu Monogatari had been retrofitted with Automatic Train Stop. It was good to get a look at the loco up close. I agree – eating on the train is much more fun. It doesn’t matter which train, either. It’s just fun! I agree. Food from department store basement is cheaper and tastes better. The only problem for me is that there are so many choices, food looks good and I buy more than I can eat at the end…. that makes my luggage heavier! Thank you for sharing the story.